As Matt mentioned the other day, the ETS Baptist Studies Group is addressing the notae ecclesiae (marks of the church) at this year’s annual meeting. Matt and I are presenting the paper on Baptists and the catholicity of the church. When I linked to this topic the other day on Facebook, a good friend of mine issued a fair warning about how Baptists ought to access the church’s catholicity. He suggested that Baptists should seek their catholicity via the Reformed tradition in order to avoid repeating the errors that necessitated the Reformation in the first place and in order to avoid theological confusion (especially on the doctrine of salvation) that could complicate our evangelistic efforts. As I said, I think this is a fair warning. That’s why I think it’s hugely important that we retrieve the 17th-century Baptist reflections on the catholicity of the church. 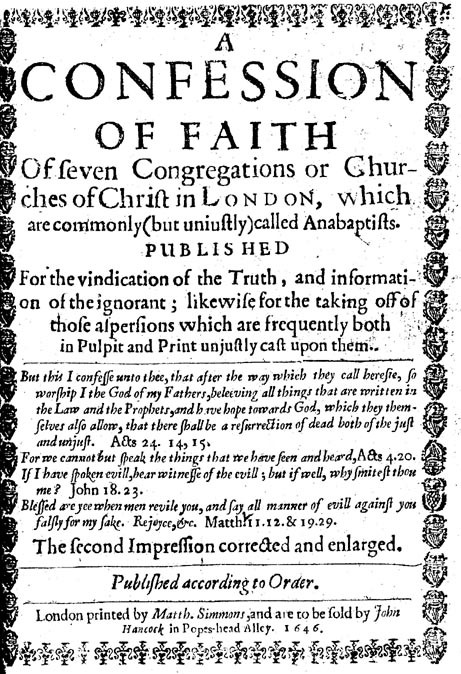 The General and Particular Baptist confessions of faith that emerged during this period either explicitly affirmed the ecumenical creeds (e.g., the Orthodox Creed) or else included clearly creedal language in their expositions of the Trinity and the person of Christ (e.g., the Second London Baptist Confession of Faith). Seventeenth-century Baptists also tended to have a more robust understanding of the sacraments, a greater willingness to engage Patristic thought, and a greater sense of spiritual connectionalism both within their own associations and in their broader evangelical context. Baptists trended away from these catholic emphases in the next three centuries (for a host of interesting and disputed reasons), but their 17th-century beginnings were a far cry from the no-creed-but-the-Bible naiveté that would come to characterize the Baptist movement in some quarters. Still, retrieval is not repristination. There may be some ways in which 21st-century Baptists can foster an even more open-minded and open-hearted approach to the whole church–both historic and contemporary. But clearly any efforts toward ecumenism among evangelical Baptists would need to be tethered to our Reformational commitments. Rediscovering our 17th-century roots would go a long way in helping us strike this balance.